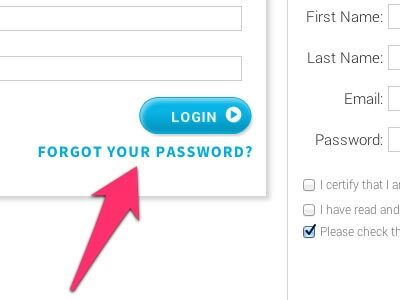 In that case that you forgot your password, click on "Login" in the top right hand corner of our website. From the "login" screen, click on the "forgot your password?" link and submit your email address. We will send you an email with the password assigned to your account and you will be able to login with this password. If you decide to change it, you can do so in “Account Details”. If you are certain that you have not forgotten your password and you are still unable to login, you may have registered a different email address to the account. Sometimes the email address was accidentally entered incorrectly at registration (e.g., [email protected]). If you have any concerns about your account information, just let us know. We're happy to help get you back into your account!